The PowerScan 7000BT has reached end of life. It has been replaced by the PowerScan PD7100. 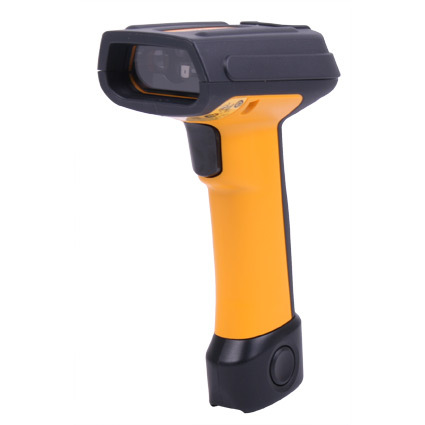 At 500 scans per second, the Datalogic Powerscan 7000BT barcode scanner reads barcodes fast and aggressively, excellent for the demands of most industrial or warehouse environments. The linear CCD imager is also capable of reading PDF417 and MicroPDF barcodes, excellent for locations that may deal with shipping labels or identification cards. To help ensure survival in industrial environments, Datalogic has reinforced the Powerscan 7000BT with a rubberized body, protecting it from multiple 6-foot drops to concrete. The body is also sealed up to IP65 specifications, fully protecting it from dust and low pressure jets of water.